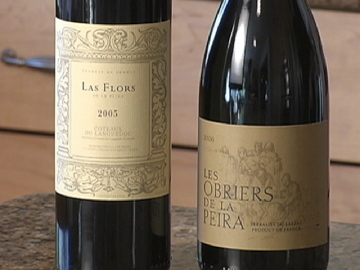 California’s Kyle Meyer (Wine Exchange) Looks at Languedoc & La Peira’s Syrah, Grenache, Mourvedre, Cinsault, & Carignan! We meet Kyle and and had the chance to show the wines on a beautiful day (weather-wise) at The Fairmont Hotel in San Francisco some time ago. We had a fantastic table with views out to the bay with two great neighbors on each side. On one side was Clos des Fées’ Hervé Bizeul and on the other, Jean-Marc Lafage of Domaine Lafage…. 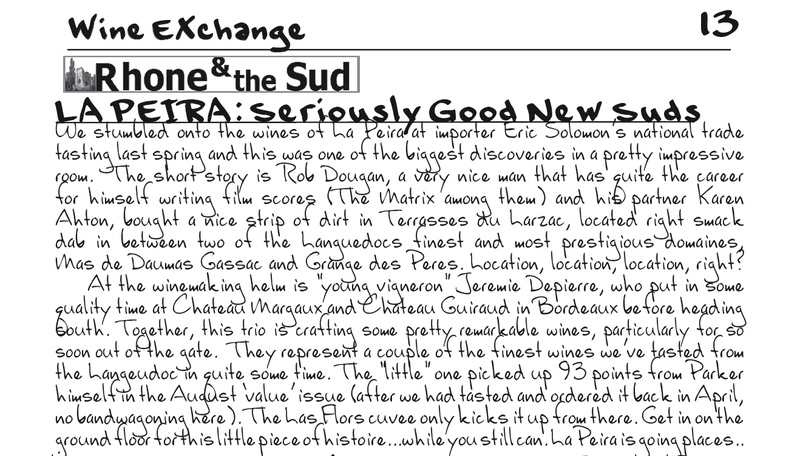 But however long it take our wines to travel from France to California, it probably takes longer for the Wine Exchange (WineX) to write-up their hand-written missives. With that in mind we’ve put them in the La Peira Archives below. Give them a click to open up full size.